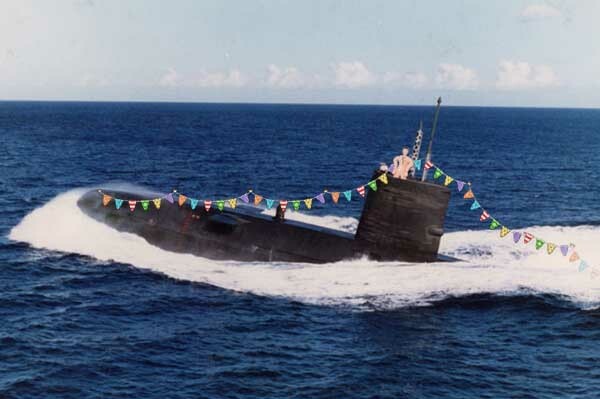 A top secret proposal, leaked to Spoofflé last night, reveals that seven of the Royal Navy’s retired nuclear-powered submarines are to be converted to pleasure boats by a holiday company. Storing the fleet of ageing submarines has so far cost the taxpayer £900 million. We understand that Transport Secretary Chris Grayling suggested that the MoD off-load the submarines to Norfolk Fun Boats Ltd, based at Great Yarmouth. Under the deal the company would receive the submarines plus a one-off, goodwill payment of £120 million. Spoofflé tracked down the company and asked Managing Director Vasily Stepanovich what they intended to use the submarines for. Mr Stepanovich confirmed that the company was only formed in March and has no other rental craft. The submarines will be towed next month to the Russian Naval Base at Severomorsk for fitting out as holiday vessels although he was not clear on when the boats would return or when their rental season might start. We pressed Mr Stepanovich on his plans for the nuclear-powered turbines and advanced on-board missile control systems but unfortunately his train must have gone into a tunnel and we were unable to reach him again.